They say the best groupie trips happen when unplanned. We were all set to go to Greenhills to be with our friend as he decides if he should buy a new mobile phone or not. Soon as we got in to his car, he announced our destination quite nonchalantly, Pampanga. As shocked and excited as we are, we laughed about the thought of the sudden out of town trip all the way. We had no agenda so might as well go for the trip. A little over an hour and we were already there. What do you when in Pampanga? 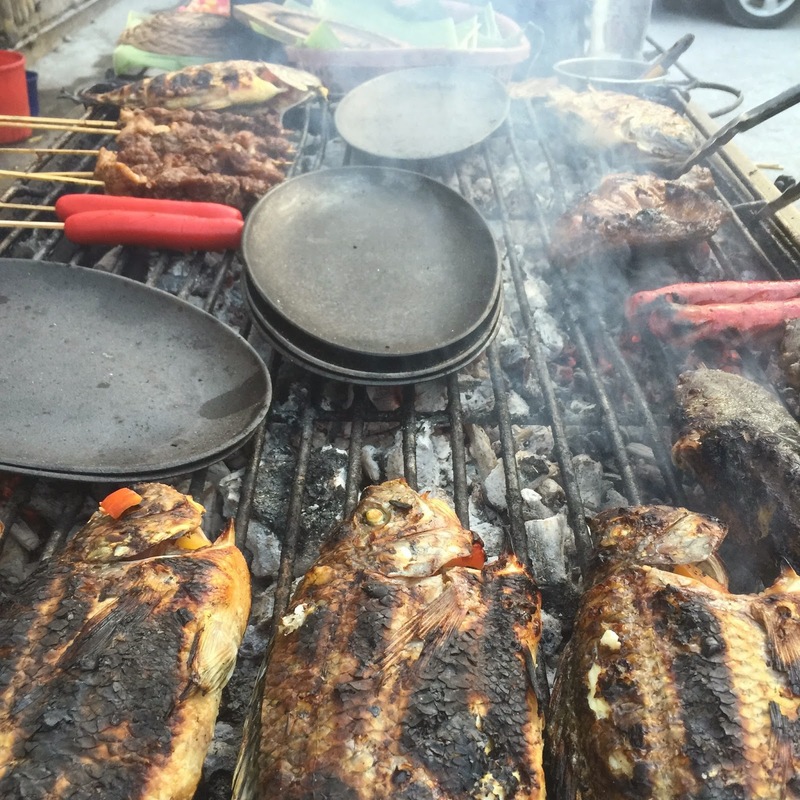 Dare and see why they were called the culinary capital of the Philippines. We stopped by San Matias Ihaw-ihaw in San Fernando Pampanga. The whole place offers the typical ihawan/ karinderya vibe; which is nothing fancy. We ordered, of course, Pampanga’s famous sisig, bulalo, chicharong bulaklak, and some other meat on a stick. The first bite proves Pampanga’s claim of being the culinary capital of our country. Hands down all the way. Their sisig is to die for. Something so special in it that will make you order for more. All the food we ordered was just simply spectacular. There is nothing bad you can say in any of them, at all. Each dish elates our palettes as if we’re kids tasting ice cream for the first time. After the heavy feast, we tried their leche flan. And you know what they say in leche flan, if it is not your usual home-made taste, it is nothing. But theirs was simply spectacular. And you would practically wonder why they sell all of these at such a cheap price. For the taste and the experience, I am giving Pampanga cuisine two thumbs up.